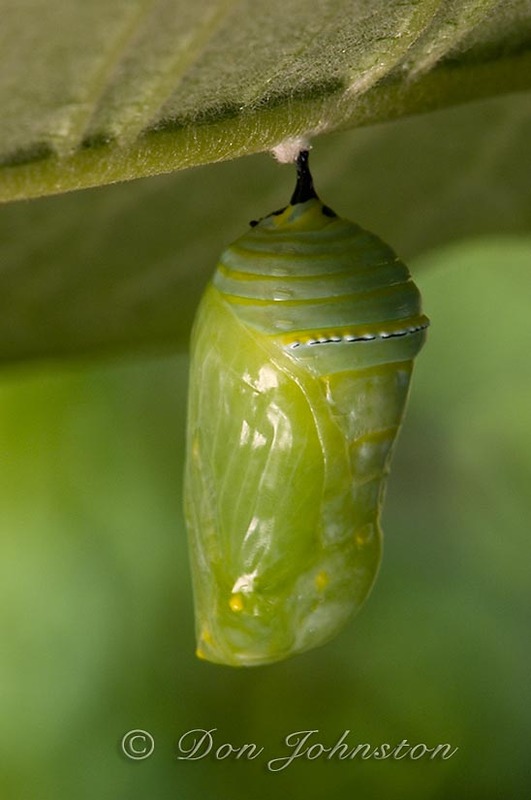 Brenda found another monarch chrysalis a few days ago, hanging from a cucumber leaf. It is late in the season and most of the milkweeds are going to seed. Frost is threatening so we hope the adult will emerge in time. Summer of 2013 was a relatively poor year for us on the monarch butterfly front, with noticeably fewer adults seen flitting around our milkweed patch and fewer caterpillars observed chewing milkweed leaves and flowers. These observations jive with disquieting reports in the media about plummeting monarch numbers province wide, with fingers pointed at the usual suspects- habitat loss and agribiz practices along the monarch’s migration routes. 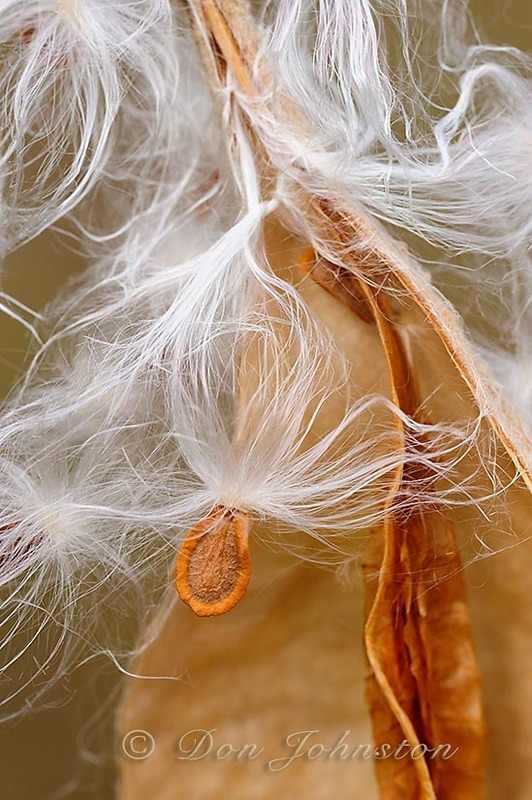 Milkweed is classified as a noxious weed in Ontario. I innocently brought a seed case home a few years ago. The seeds are so darn photogenic. Because the Sudbury Region’s soils are acidic (great for blueberries, not good for milkweed) there are few populations of common milkweed in our area. It has thrived near our garden. Now we have a burgeoning patch of milkweed, which invades our garden and lawn, but we pull and mow when necessary and let it thrive since it is the host plant for the beautiful and famous monarch butterfly. This January, Brenda and I will touring to California where we will participate in Cathy and Gordon Illg’s Beauty and the Beasts Photo Tour that will include two days photographing monarchs in their western winter refuge. 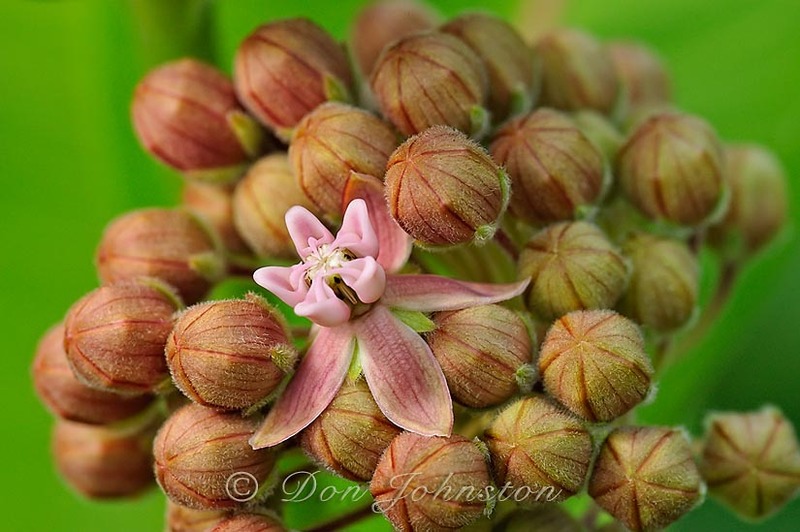 Even though milkweed is noxious it is attractive to us in so many ways. The flowers are lovely and fragrant. Milkweed attracts many other small critters that feed and live among the plants- hummingbird moths, other butterfly species, spiders and beetles. And of course it is the host plant for the monarch. Here are some favourites from over the past few years. Most were made with a 200 mm Nikkor micro. I prefer soft, overcast light.